First she was all upset about needing the cast and then she was upset that she couldn’t get one. KIDS! Here’s the deal. Natalie’s fracture was too close to her toes. 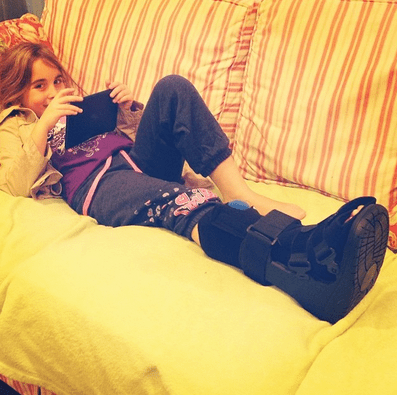 So, the cast wouldn’t work on Natalie’s broken foot. Instead, we had to go with a CAM BOOT. A black, boring, ugly cam boot. And Natalie was pretty much devastated. I wanted to help in any way that I could. I’m not the craftiest person but I thought that if I glued some jewels around the black boot it might “girl it up” a bit. And I thought the jewels did a pretty good job at just that! 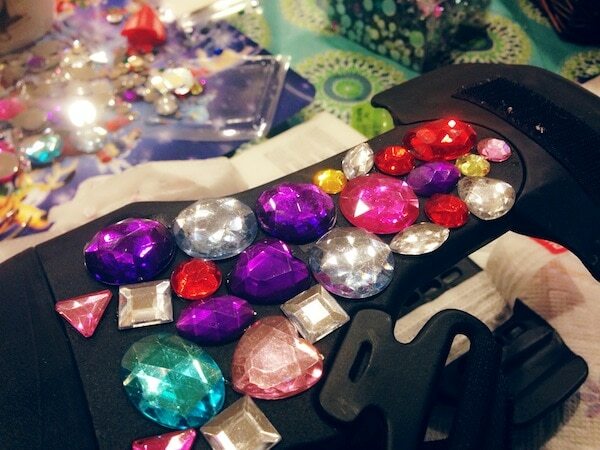 I made a little video showing exactly HOW I bedazzled the cam boot including what NOT TO DO (ouch).